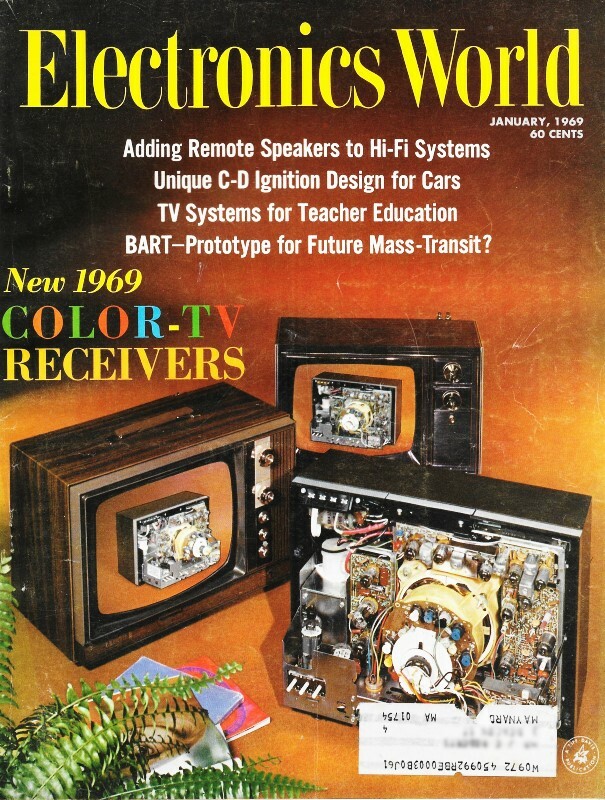 This being the beginning of the IEEE's Microwave Theory and Techniques Society's (MTT-S) International Microwave Symposium in Honolulu, Hawaii, it is the perfect time to post this advertisement from the January 1969 issue of Electronics World. Per the MTT.org website, the very first IMS show was held in 1995, in Orlando, Florida. 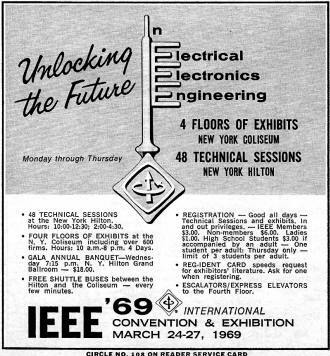 The 1969 IEEE International Convention & Exhibition, which was not specifically a microwave electronics theme, was held in the New York Coliseum, located in New York City. 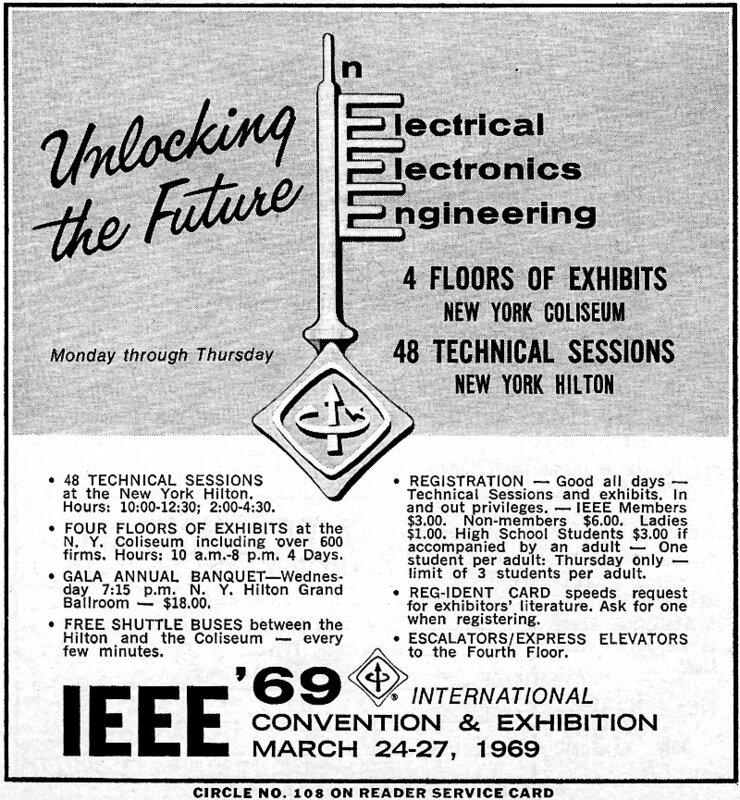 48 Technical Sessions at the New York Hilton. Hours: 10:00-12:30; 2:00-4:30. Four Floors of Exhibits at the N.Y. Coliseum including over 600 firms. Hours: 10 a.m.-8 p.m. 4 Days. Gala annual Banquet - Wednesday 7:15 p.m. N. Y. Hilton Grand Ballroom - $18.00. Free Shuttle Buses between the Hilton and the Coliseum - every few minutes. Registration - Good all days - Technical Sessions and exhibits. In and out privileges. - IEEE Members $3.00. Non-members $6.00. Ladies $1.00. high School Students $3.00 if accompanied by and adult - One student per adult: Thursday only - limit of 3 students per adult. Reg-Ident Card speeds request for exhibitors' literature. ask for one when registering. Escalators/Express Elevators to the Fourth Floor.